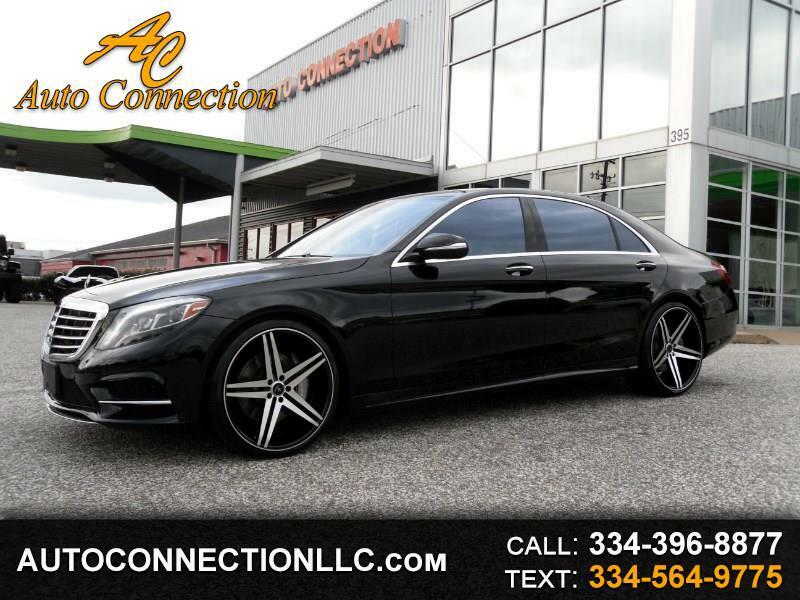 2014 MERCEDES-BENZ S550 SPORT 4MATIC! Black over Black leather with wood trim, Navigation, Rear view camera, AMG Sport Package, Heated and Cooled seats with massage, Burmester Surround Sound system, CD, Bluetooth, Power rear and side rear window sunshades, Panoramic sunroof, HID Xenon headlights, Wood steering wheel, Custom 22 inch wheels and more! Non Smoker 2 Owner! Carfax Certified! Excellent Condition! Free 90 day 3000 mile warranty at $43,995!